Contains Spinosad “spin-OH-sid”. 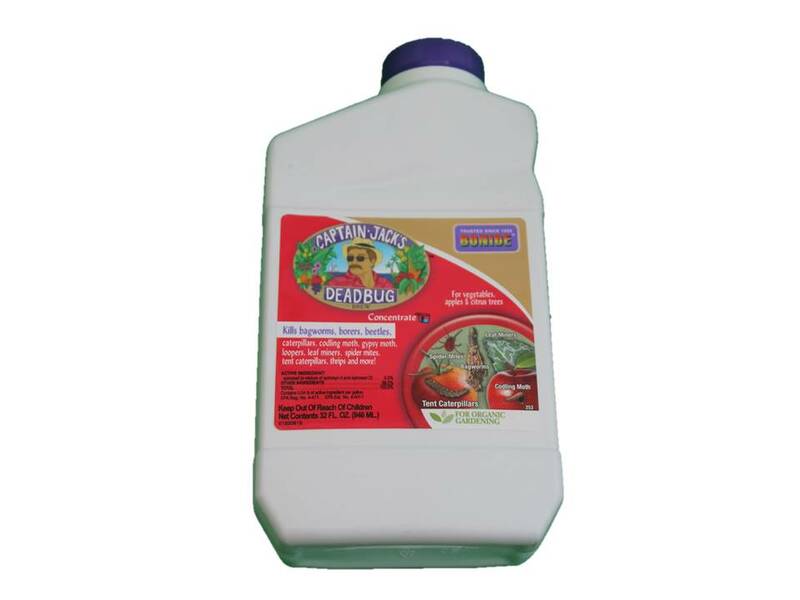 Deadbug Brew® kills bagworms, borers, beetles, caterpillars, codling moth, gypsy moth, loopers, leaf miners, spider mites, tent caterpillars, thrips and more! and spiders while controlling target pests. Susceptible insect pests may be observed on plants up to several hours after treatment, but will have ceased active feeding before being killed. Captain Jack’s DEADBUG Brew® contains Spinosad “spin-OH-sid”. Spinosad is derived from a naturally occurring soil dwelling bacterium that was collected from an abandoned rum distillery on a Caribbean island in 1982. This unique bacterium was defined as a new species when it was discovered and it has never been found in nature anywhere else in the world. 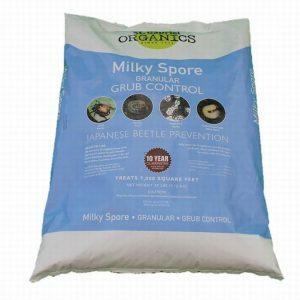 Since being discovered, Spinosad has become a leading pesticide used by agriculture world wide in the production of organic produce. Today, thanks to Captain Jack’s DEADBUG Brew®, Spinosad is available to the homeowner. and apply uniformly to both upper and lower surfaces of plant foliage. Mix only as much spray as needed for a single treatment. 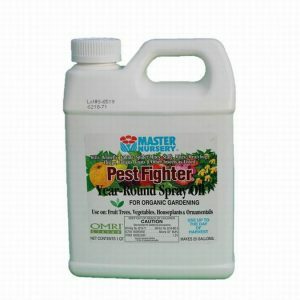 In vegetable gardens, for best results, do not use more than 3 gallons of spray for 1000 sq ft of area. Do not use kitchen utensils for measuring. Keep measuring utensils with product and away from children. 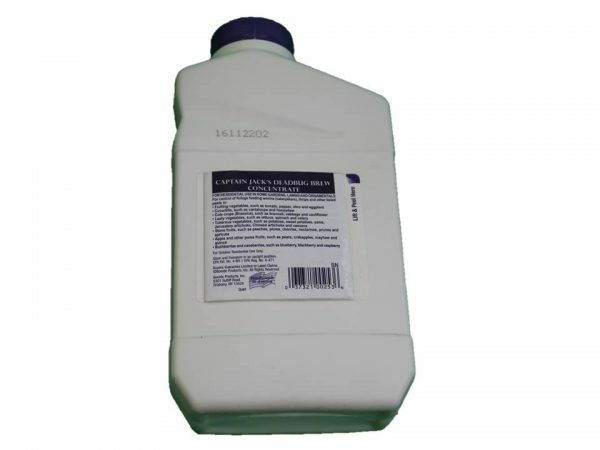 This product may be applied with trigger sprayer, hand-held, backpack, or hose-end sprayers. Use a hose-end sprayer that can be adjusted to provide a dilution ratio of about 2 fl oz of this product (4 Tbs) per gallon of spray.